Our toddlers love their “Rainy Day Boxes”! We put bits of fabric and paper, glitter glue, markers, stickers, popsicle sticks, pom poms, a glue stick, and paper into boxes and personalized each one with the child’s name. I got the idea from Kira (http://www.hernewleaf.com/) on Pinterest. Such a wonderful idea! 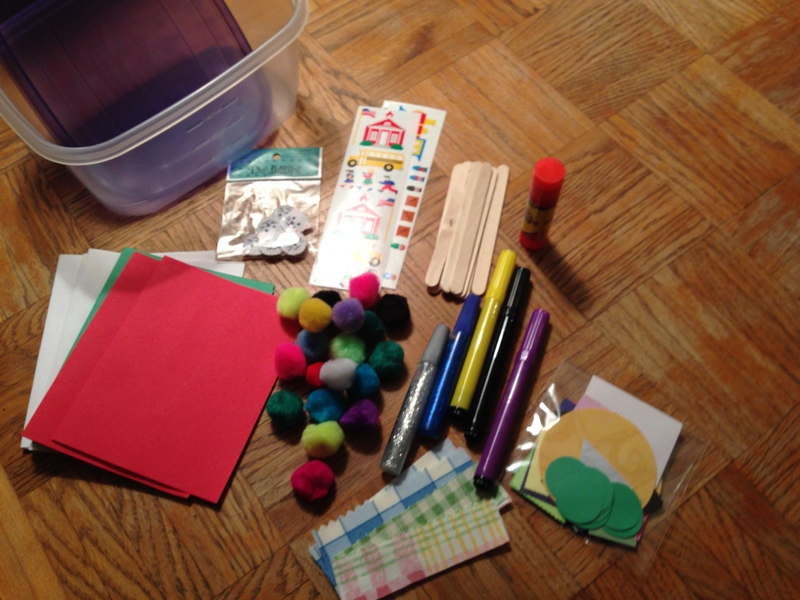 I love putting together card making kits for kids. And the best part is shopping for the bits and pieces that they (and me!) love! I have to credit Pinterest for the idea. It is fun, though!